Snacking is such a big thing in our house! 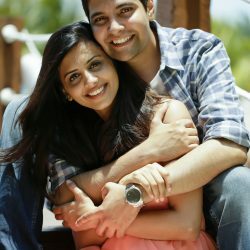 Whether it is mid-day snacking or late night on a game night at home with friends. I try to make sure we have some healthy snacking options on hand, and hummus is typically one of them. 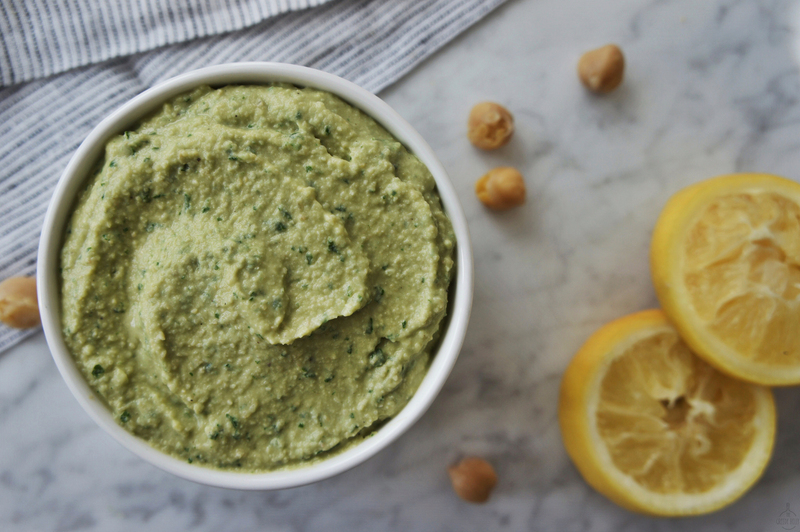 This Pesto Hummus brings two of my favorite things together! Its like two really good things come together to make an even better one! 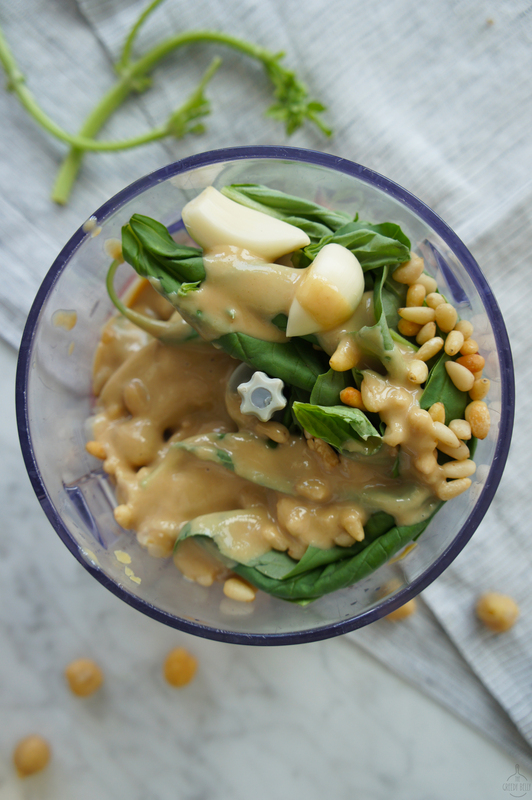 Chickpeas blended with tahini, garlic, pine nuts, fresh basil and lemon juice – can it get easier than that? 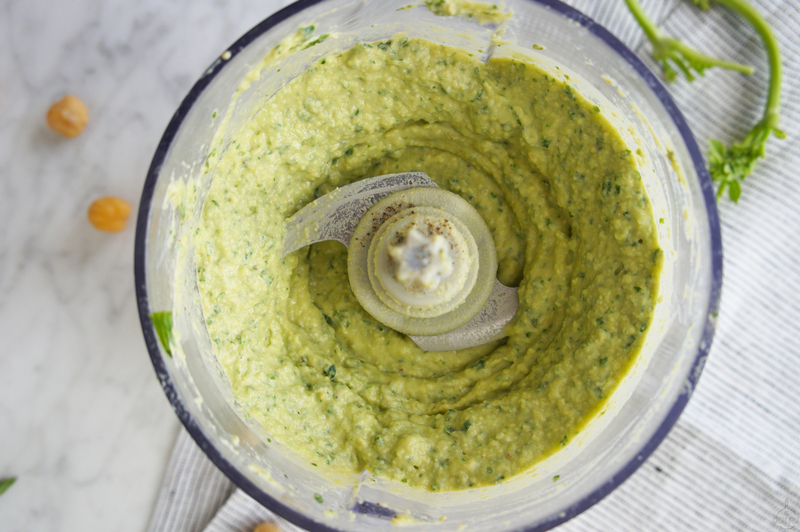 This pesto hummus is so simple yet so versatile. 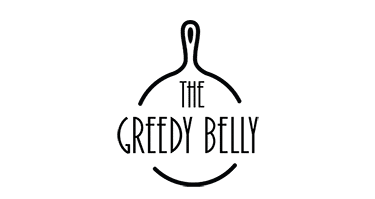 It’s great as a dip with some pita chips and vegetables, goes really well on sandwiches or paninis, or you could even add it on top of a salad or mediterranean bowl. 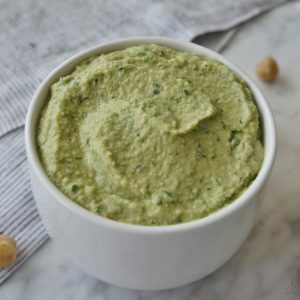 Whether you want a good ol’ Mediterranean dip or the pizzazz of an Italian pesto, this hummus is the perfect fusion of both!! When two good things comes together to make one hell of a snack! 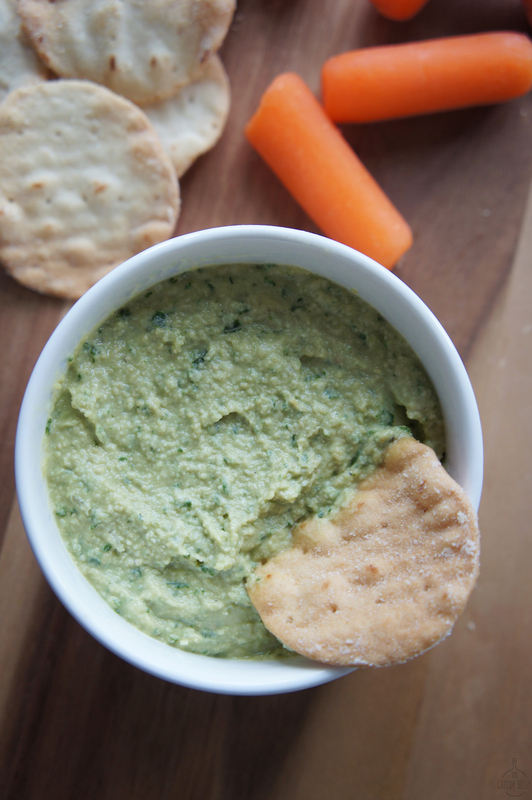 This Pesto Hummus is easy, flavorful and oh so versatile!! 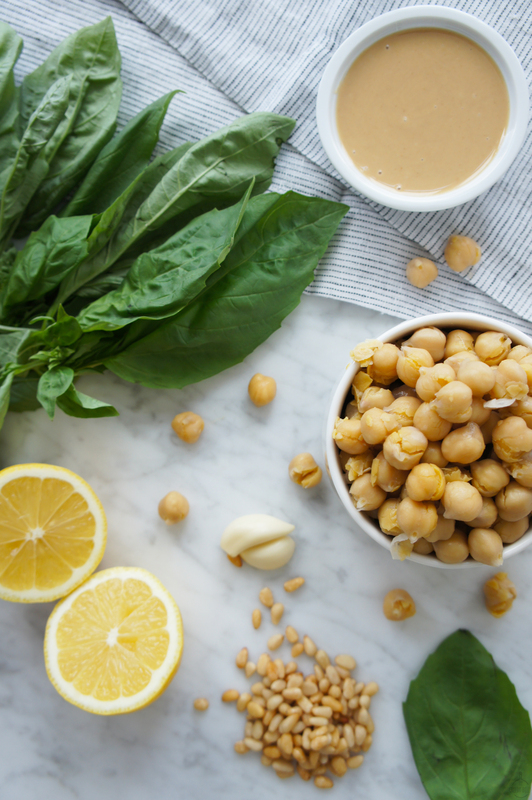 In a food processor or blender combine together- chickpea, garlic, basil leaves, pine nuts, tahini paste, olive oil, lemon juice, salt and pepper to form yield a thick consistency hummus. Drizzle 2-4 tbsp of water, while the food processor is running to adjust consistency until its smooth and creamy. Serve with pita bread, crackers or carrot or bell pepper sticks. Serving suggestion: You can use pesto hummus in so many ways. Serve it with some toasted pita bread or pita chips. Serve it with raw vegetables like carrots, cucumbers, bell peppers and celery. Use it as a spread in your sandwiches or paninis. Use it as a topping on your salad or mediterranean bowls.